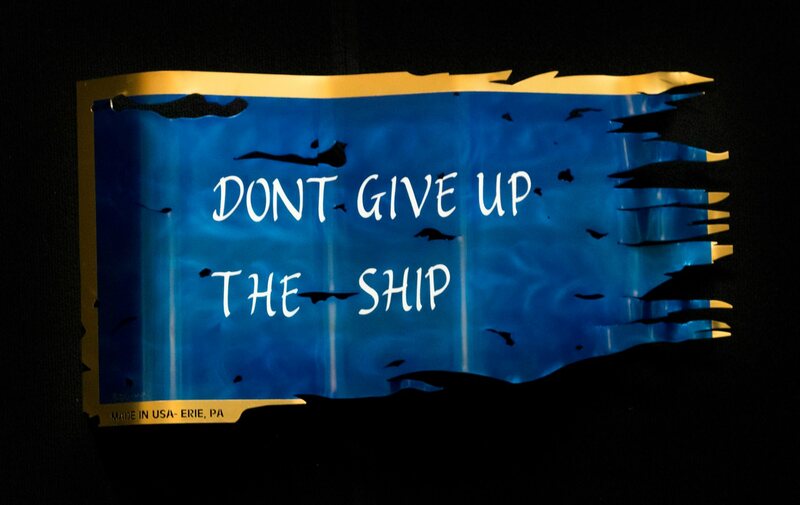 Don't Give Up the Ship. A Pennsylvania's flag. The battle flag of Oliver Hazard Perry aboard the USS Niagara. At MetalHeads, we strive to give you a piece of what flag means us: sacrifice, honor and pride.